Individual letters for websites etc. Available to stick on the inside or outside of any window, and in any colour although white is by far the most popular, these come on an easy to apply strip with removable top film. 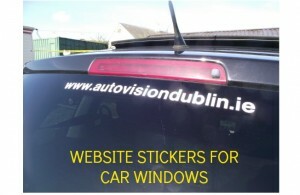 Ideal for the outside of dark tinted glass where the normal garage sticker on the inside cannot be seen. Prices from only €79 for 100 in white 25-40mm high. 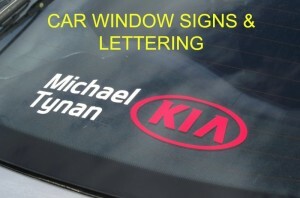 This entry was posted in Stickers, window signage by PaulSomers. Bookmark the permalink.